Read more about Could we enforce an unbiased court? Read more about How would Americans vote if there were a popular vote? Flyover: Is the left's vocabulary meaner than the right's? Like many, I have been highly interested in understanding the rift in US and global politics that has resulted in the rise of Trump, LePen, Ford and Brexit. While I run mostly in left/urban/secular/keen circles, I try as often as possible to talk to people in other circles to understand their view. My own politics match neither side, which gives me some extra perspective. However, living in left circles, I have encountered more of their terms. Read more about Flyover: Is the left's vocabulary meaner than the right's? Read more about Could states affect gerrymandering outside their state with conspiracy rules? A new organization named Equal Votes is pushing to make a supreme court case to undo the electoral college. They hope to use a precedent set in the famous "Bush v. Gore" 2000 election case, which strengthened the application of the equal protection clause to election law. They want to show that the "Winner takes all" approach that 48 states use to hand out electoral college votes is a violation of the idea of one person one vote. States would then not be able to use it. It's an interesting idea, but I have grave concerns that it might backfire, and badly. Worst case, it could guarantee a Republican President into the indefinite future. Hopefully not, but that's a bad result, even if you're Republican leaning. My friend Larry Lessig is supporting this, and I don't doubt the theory that it might win. The idea is that since a state could assign its electors in proportion to how its citizens voted, it is depriving them of their rights by not doing so. If you are in a safe state and not in the dominant party, your vote is useless and effectively counts for nothing. And this is where we get the first big risk. Two states, Maine and Nebraska, don't do winner takes all. They follow what seems a very sensible plan at first. A state's electoral college delegation is equal to the number of congressional representatives they have: House members plus two. These states select two electors based on statewide vote, and then select the other electors based on the vote in each district. Just like members of congress, the electors represent their "districts." There is a risk that if the court held that winner-takes-all is invalid, they might not rule that the established district based system is invalid. Equal Votes will ask for that, but they might not get it. If they don't get it, then some states, in particular the gerrymandered states, may decide to follow the Maine system. And being gerrymandered like this, they are likely to return a slate of electors that is not too different from their congressional delegation -- a heavily skewed delegation. Even if many other states use a different system (like the proportional allocation Equal Votes wants) the result would be a college very much like congress. And that's a GOP college. Why? Because of operation Redmap. This insidious, I would say evil, cheat on the electoral rules was done by Karl Rove and the RNC in 2010. They poured millions into a carefully selected number of unsafe Democrat statehouse seats around the country, enough to swing those statehouses to the GOP. Then they used that power to redraw the districts in those states in a gerrymandered way to favour the GOP. Not just in the congressional elections, but in future statehouse elections, cementing the power indefinitely. It will need a major anti-GOP swing, or supreme court ruling, to fix it. We're all shocked at the idea of a growing neo-Nazi movement, at the horrible attack in Virginia and the lack of condemnation by the President. It's making us forget that the neo-Nazi radical right are trolls with many parallels to online trolls. And the only thing to do is not to feed the trolls, and definitely don't attack the civil rights that they make use of. 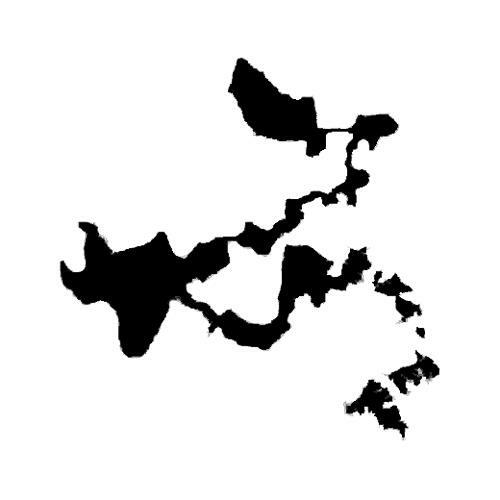 One of the key flaws in the US political system is gerrymandering. I have written about this before even proposing my own method of redistricting, but such proposals only have a limited utility. In this article I present why court solutions have had trouble, and a potentially new approach using an interstate compact. Gerrymandering is particularly bad in the USA, but it's a general "bug" in many democratic systems. The flaw is often summed up with the phrase "The politicians pick the voters instead of vice versa." When the incumbent legislators and parties can draw the districts, they can bias the system heavily in their favour. In the USA, the house of representatives is currently highly biased towards the Republican party. It is often cited that the Republicans won 49.9% of popular votes for congress but got 55% of the seats. You can't actually add the individual house votes, because people vote (or rather stay away) differently in safe districts than they do in contested one, but the margin is large enough that the trend is clear. This is in large part due to Operation Redmap which is documented in the book Ratfucked. It truly fits the description "fiendishly clever plan" and exploits the bug to the level of making it close to permanent. How districts are drawn is left to the states both in the constitution and the law. Some states have moved to create more fair districting rules, the sort of rules you would make up if you were doing it from a nonpartisan standpoint. However, the hard fact is that those states which do this are chumps. It does not make the system more fair if one side stops cheating -- and I do think of gerrymandering as cheating -- and the other side keeps on cheating. It just assures victory for the cheating side going forward. At the same time, having all sides cheat indefinitely is not a good solution either. The constitution says very little about districting. In fact, it doesn't even demand districts! States could have, if they chose, selected their representatives in a statewide proportional vote. Later federal laws, however, have demanded each person have one congress member, which demands geographic districts. About half the states require the districts be contiguous, but the others don't. The voting rights act and other principles have forbidden drawing the lines on racial or minority grounds, but not on the grounds of "this helps incumbents keep their seats" -- that's still largely within the rules. In any event, as long as gerrymandering is benefiting the GOP, they are not going to commit political suicide to remove it. States controlled strongly by one party or the other will resist willfully hurting their own parties, though there are exceptions when states have ballot resolutions. The supreme court ruled, barely, that the public can supersede the legislatures on this matter with a ballot proposition, and so that has happened. While the public belong to parties, they are actually more interested in fairness than party loyalty. A constitutional amendment could fix this, but that's not going to happen. And strong federal law could probably fix it, but that's not coming from houses controlled by the people which benefit from the cheating. As such, the solution can only come from the courts, or ballot propositions in a balanced set of states. A good summary of the rules around districting in the different states can be found at this site. Justices of the supreme court have reportedly all denounced gerrymandering to cement political control. They agree that it violates the principles of the constitution of one person one vote and equal protection, as it effectively eliminates for partisan reasons the voting power of many. Even agreeing with this, for now they feel powerless to stop it. We can all see gerrymandering happen, but for the courts to do something about it, they would need to define fair and unbiased test which says when it is happening. This is hard, as courts are reluctant to write sets of rules like that -- that is the province of the other branches of government. Courts don't make the rules, they just decide if people are playing fairly by the rules that the other branches created. So while it's easy for you or I to propose fair rules for districting -- rectangular districts or my own convexity test above -- these just aren't the sort of rules courts are willing to make up. You can't extract them from the constitution. A court can look at a crazily shaped district and know "this is unfair" but it has to come up with a way that the states can objectively know what is fair and what isn't, without being the author of its own rules. One proposed rule that's been advocated is the voting efficiency gap. Here, they try to measure how many votes were "wasted" because of district design. If a district went 80% for one party and 20% for the other, 30% of party A's votes are wasted, and20% of party Bs, and the difference between these numbers tells how biased that election was. It's a nice test but one can see immediate flaws. For example, in a state biased 55% to 45%, a "perfect" districting where every district has the same balance as the state would result in 100% of seats for the dominant party. Since one party is strong in cities and the other strong in the country, any geographic set of districts is going to have these "inefficiencies" with inner cities voting 80% Democratic in the same state as a rural district votes 80% Republican -- without any intent to cheat in how the lines are drawn. As noted, proportional non-geographic districts are not going to happen. The courts, if they are to help us, need a test which will clearly let them tell states, "If you don't draw your districts to match this test, they will be ruled invalid." It's easy to come up with fair, non-partisan tests to use, but the problem is that it is easy and so there are several you could use -- and why should one be chosen over another? The legislatures can choose one option from many, but the courts are not to be arbitrary in that way. Their test has to clearly match some principle they find in the law. You can propose convexity, or straight lines, or random selection -- but none of them answer the question of "why does the law demand that particular one, vs. another?" They will ask this because any system, even if non-partisan, will benefit one party more than a different choice and thus have the appearance of being chosen from the pool for a partisan reason. And perhaps more than the appearance. Individual states deciding to play fair just cede their power. Perhaps another option is possible -- through a compact of states dedicated to fair districting. Sooner than most expected, the Trump administration is in trouble. Many are talking about how to end it, or hasten that end. Yesterday's post about the flaws in the so-called "popular vote" certainly triggered some debate (mostly on Facebook.) To clarify matters, I thought I would dive a little deeper about what the two types of Presidential elections in the USA are so different they can't be added together in a way that isn't misleading. The common statistic reported after the US election was that Clinton "won the popular vote" by around 3 million votes over Trump. This has caused great rancour over the role of the electoral college and has provided a sort of safety valve against the shock Democrats (and others) faced over the Trump victory. I have some dark secrets. Some I am not proud of, some that are fine by me but I know would be better kept private. So do you. So does everybody. And the more complex your life, the more "big" things you have done in the world, the bigger your mistakes and other secrets are. It is true for all of us. This is one of the reasons the world needs privacy to work. Many are writing about the Electoral college. Can it still prevent Trump's election, and should it be abolished? Like almost everybody, I have much to say about the US election results. The core will come later -- including an article I was preparing long before the election but whose conclusions don't change much because of the result, since Trump getting 46.4% is not (outside of the result) any more surprising than Trump getting 44% like we expected. But for now, since I have written about the college before, let me consider the debate around it. By now, most people are aware that the President is not elected Nov 8th, but rather by the electors around Dec 19. The electors are chosen by their states, based on popular vote. In almost all states all electors are from the party that won the popular vote in a "winner takes all," but in a couple small ones they are distributed. In about half the states, the electors are bound by law to vote for the candidate who won the popular vote in that state. In other states they are party loyalists but technically free. Some "faithless" electors have voted differently, but it's very rare. I'm rather saddened by the call by many Democrats to push for electors to be faithless, as well as calls at this exact time to abolish the college. There are arguments to abolish the college, but the calls today are ridiculously partisan, and thus foolish. I suspect that very few of those shouting to abolish the college would be shouting that if Trump had won the popular vote and lost the college (which was less likely but still possible.) In one of Trump's clever moves, he declared that he would not trust the final results (if he lost) and this tricked his opponents into getting very critical of the audacity of saying such a thing. This makes it much harder for Democrats to now declare the results are wrong and should be reversed. In these systems it's quite likely that a party will win a majority of seats without winning the popular vote. In fact, it happens a lot of the time. That's because in the rest of the world there are more than 2 parties, and no party wins the popular vote. But it's also possible for the party that came 2nd in the popular vote to form the government, sometimes with a majority, and sometimes in an alliance. When the college was created, the framers were not expecting popular votes at all. They didn't think that the common people (by which they meant wealthy white males) would be that good at selecting the President. In the days before mass media allowed every voter to actually see the candidates, one can understand this. The system technically just lets each state pick its electors, and they thought the governor or state house would do it. Later, states started having popular votes (again only of land owning white males) to pick the electors. They did revise the rules of the college (12th amendment) but they kept it because they were federalists, strong advocates of states' rights. They really didn't imagine the public picking the President directly. Most voting is about the next election, not this one. When people vote, what do they think it will accomplish? How does this affect how they vote, and how should it? My apologies for more of this in a season when our social media are overwhelmed with politics, but in a lot of the postings I see about voting plans, I see different implicit views on just what the purpose of voting is. The main focus will be on the vote for US President. The vast majority of people will vote in non-contested states. The logic is different in the "swing" states where all the campaign attention is. Read more about Most voting is about the next election, not this one. The social networks could hold great political power due to GOTV. Should they? The social networks have access (or more to the point can give their users access) to an unprecedented trove of information on political views and activities. Could this make a radical difference in affecting who actually shows up to vote, and thus decide the outcome of elections? I've written before about how the biggest factor in US elections is the power of GOTV - Get Out the Vote. US Electoral turnout is so low -- about 60% in Presidential elections and 40% in off-year -- that the winner is determined by which side is able to convince more of their weak supporters to actually show up and vote. All those political ads you see are not going to make a Democrat vote Republican or vice versa, they are going to scare a weak supporter to actually show up. It's much cheaper, in terms of votes per dollar (or volunteer hour) to bring in these weak supporters than it is to swing a swing voter. Your status updates and geographical check-ins and postings will reveal voting activity. Some sites (like Google) that have mobile apps with location sensing can detect visits to polling places. Of course, for the social site to aggregate and use this data for its own purposes would be a gross violation of many important privacy principles. But social networks don't actually do (too many) things; instead they provide tools for their users to do things. As such, while Facebook should not attempt to detect and use political data about its users, it could give tools to its users that let them select subsets of their friends, based only on information that those friends overtly shared. On Facebook, you can enter the query, "My friends who like Donald Trump" and it will show you that list. They could also let you ask "My Friends who match me politically" if they wanted to provide that capability. Now imagine more complex queries aimed specifically at GOTV, such as: "My friends who match me politically but are not scored as likely to vote" or "My friends who match me politically and are not registered to vote." Possibly adding "Sorted by the closeness of our connection" which is something they already score. Read more about The social networks could hold great political power due to GOTV. Should they?